Welp it's a new year.. new wardrobe?? Not exactly, unless you won the lottery over the holidays! But it is nice to start updating your closet with some new Spring arrivals! 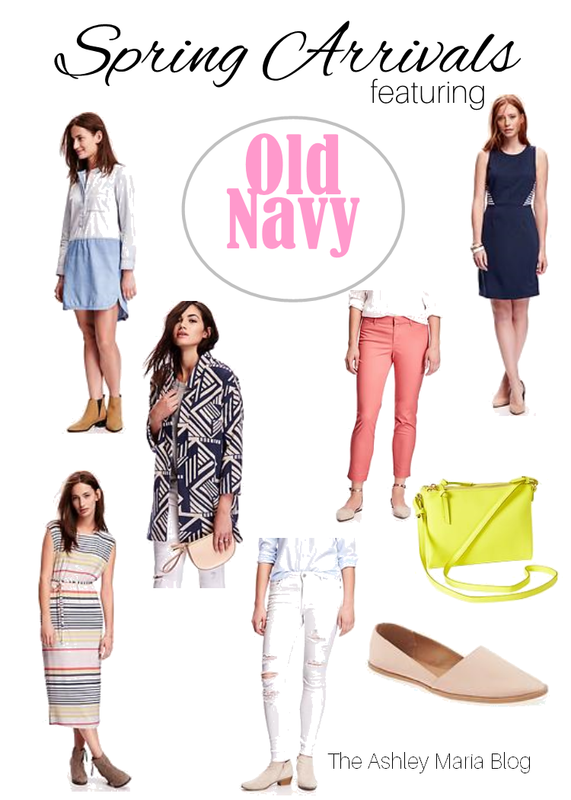 Lately, I've been really digging what Old Navy has to offer. Their basic sweaters and tops are a staple in my closet to throw on with a pair denim or pants and finish with a cute scarf or piece of jewelry. They of course did not disappoint with their new arrivals for Spring! I can already see the white denim & pixie pants paired with a sweater and scarf or blazer. The chambray dress and midi dress both would look great paired with or without tights and short boots as shown above. I love the color of this crossbody and the neutral tone of the flats. What are some things on your wishlist this Spring?